Anna Kwiatkowska is a teacher in Mielec. 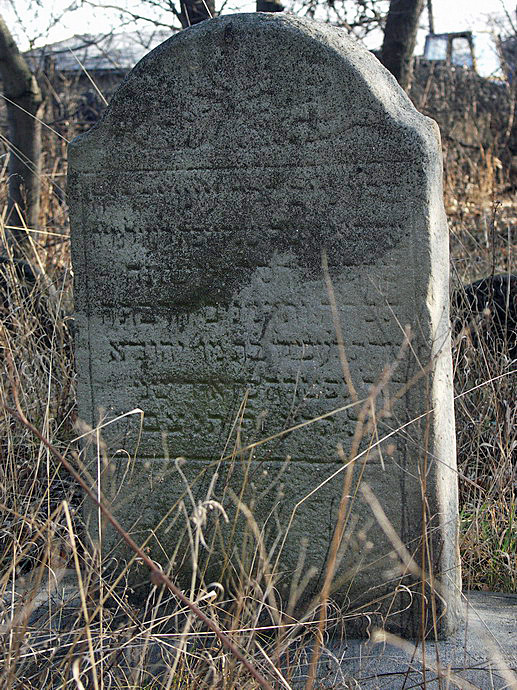 While searching for material on Jewish Mielec Anna found our webpage and contacted us offering to take photos and report on the Mielec Jewish Cemeteries. Anna painstakingly researched the exact current locations of the cemeteries and clarified some confusion in location of the Old Jewish Cemetery. 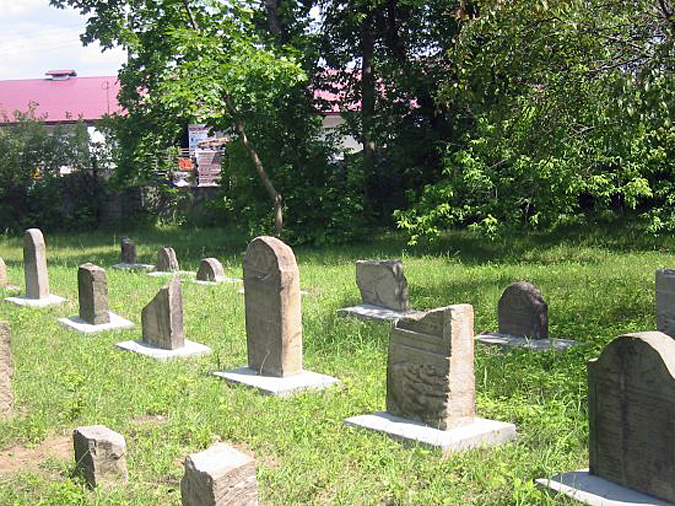 The Old Jewish Cemetery was once referred to as being “the cemetery on Mickiewicza Street”. This was correct before WW2 when the cemetery was much larger and the main gate was on Mickiewicza Street. The main gate to what remains of Old Cemetery is now in Jadernych Street and the cemetery is referred to as “the cemetery on Jadernych Street” They are, of course, one and the same. 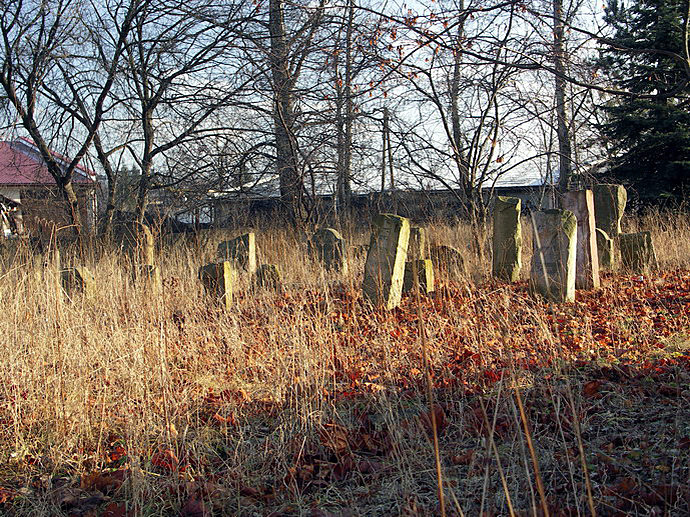 The Old Jewish Cemetery was established in the beginning of 17th century. 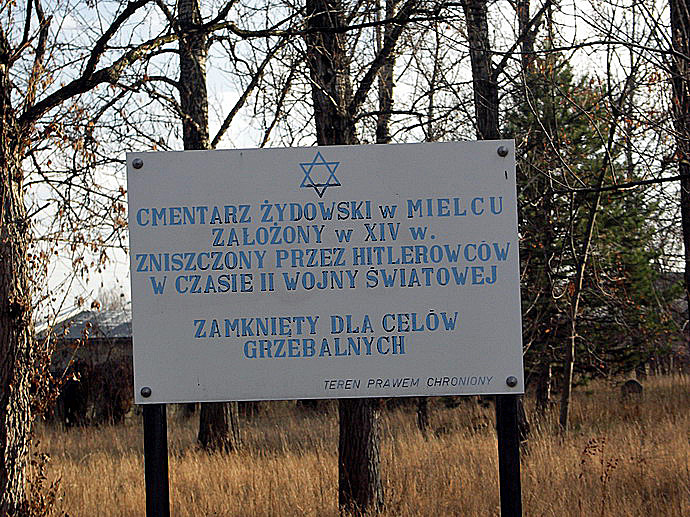 Jews from Mielec and from Piątkowiec and Smoczka used this cemetery. These two villages are now part of Mielec. The latest burial was in 1941. The size of the cemetery before WWII was 700 sq. m. After WWII the city authorities built a post office on part of the cemetery. The post office building is placed over the Ohel [structure built over the resting place of a righteous person] of the Mielec Tzaddik Reb Horowitz. 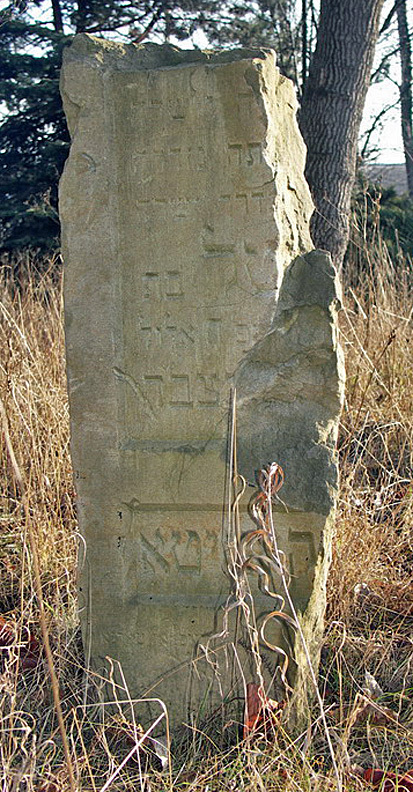 In 1993 Rachela Sussman of the US had the remaining part of the Old Jewish Cemetery fenced and a monument established with inscriptions in Polish and Hebrew. Before the fence was built there was a small park located on the Old Jewish Cemetery grounds with a few benches. The cemetery is now closed to the public and access allowed only by arrangements with the city authorities. 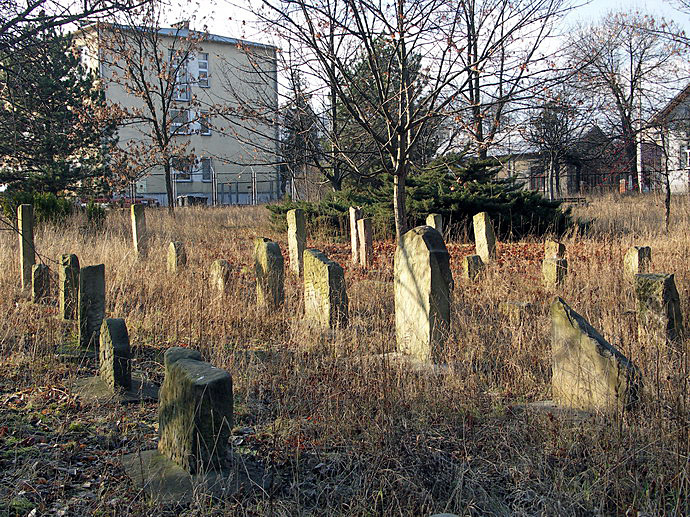 About 35-40 Matzevot remain in the Mielec Old Jewish Cemetery. Only a few are whole and most of them are broken. 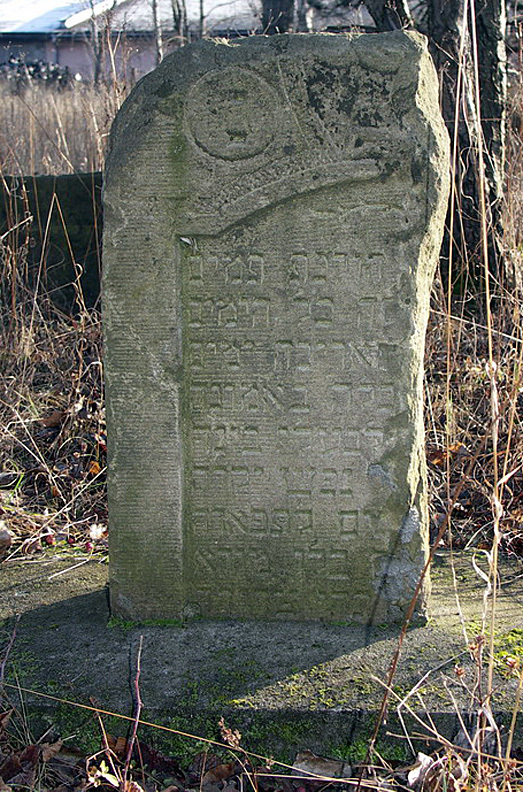 In August 1994 the Regional Museum in Mielec recovered some Matzevot from Wisłoka River and placed them in the Old Jewish Cemetery. The post office is located on a part of Cemetery. In the distance (left) one can see part of the Cemetery fence. The fencing erected by Mrs. Rachela Sussmann. On the left site of main gate there is an information sign. 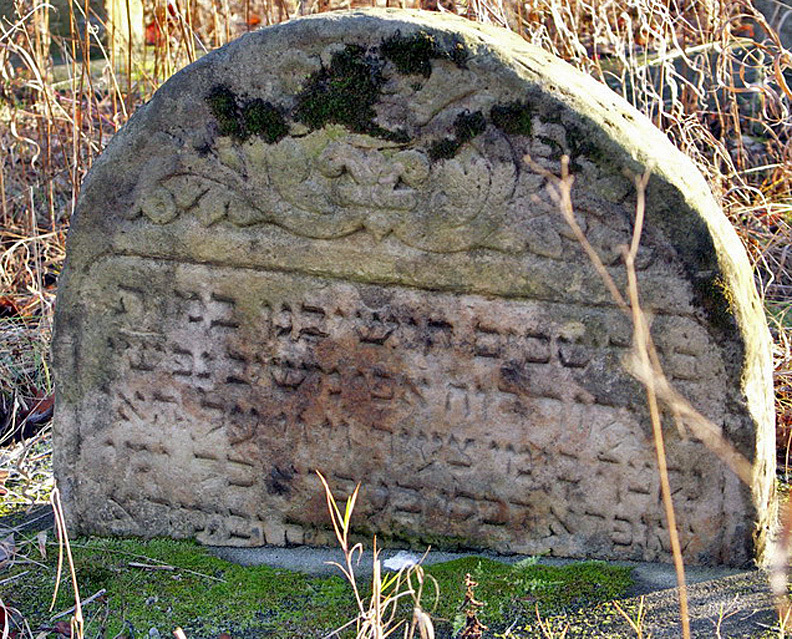 Jewish cemetery in Mielec founded in XIV century. Destroyed by nazis during WW11. Closed for burials. The date the cemetery was founded is not correct. date the cemetery was founded as the XVII century. Before the cemetery was fenced in there was a small park. closed to the public. Two park benches remain in the cemetery. View on Matsevot [tombstones] from the main gate. 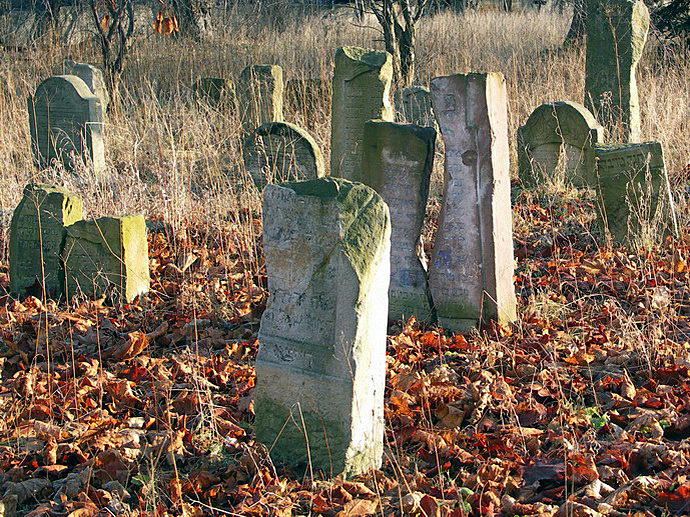 These 5 Matzevot are the only unbroken ones found in the Old Jewish Cemetery . 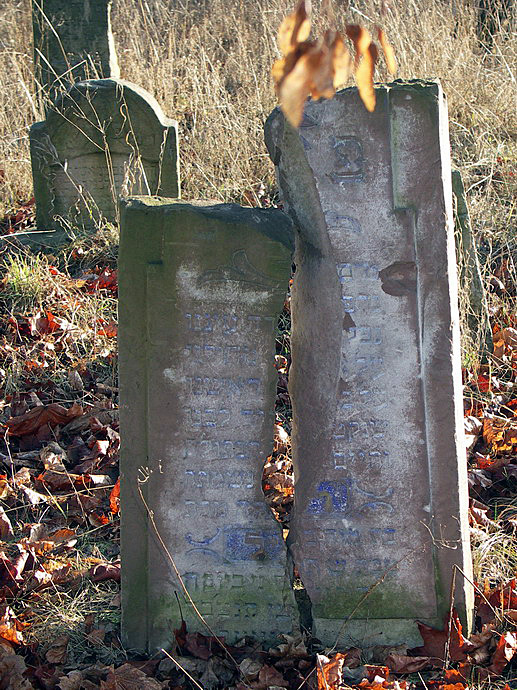 These 5 Matzevot are the only unbroken ones found in the Old Jewish Cemetery . Only a few are whole and most of them are broken. 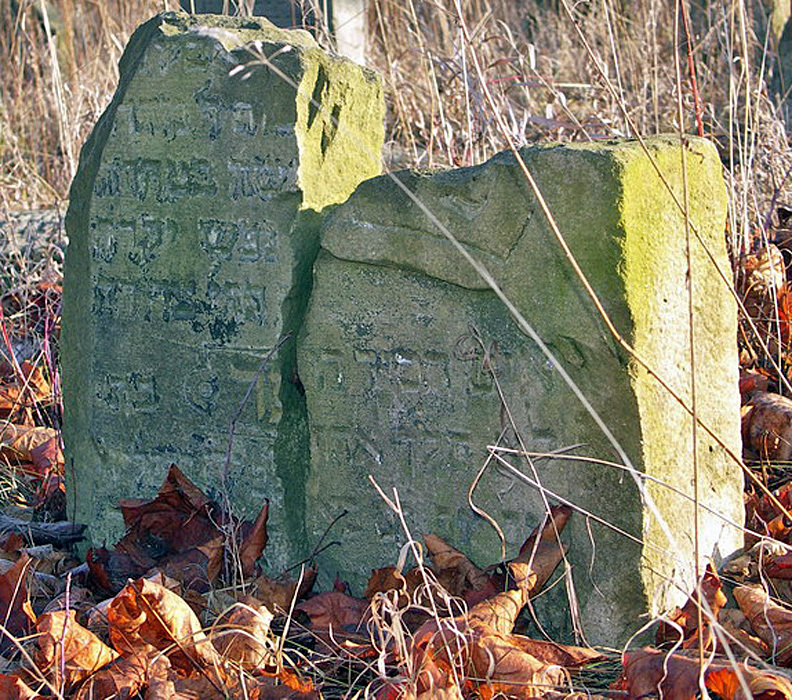 There are many fragments of Matzevot in the Mielec Old Jewish Cemetery. These are some of the larger pieces with some of the text still visible. Front and back views of Matzevot in Mielec Old Jewish Cemetery. 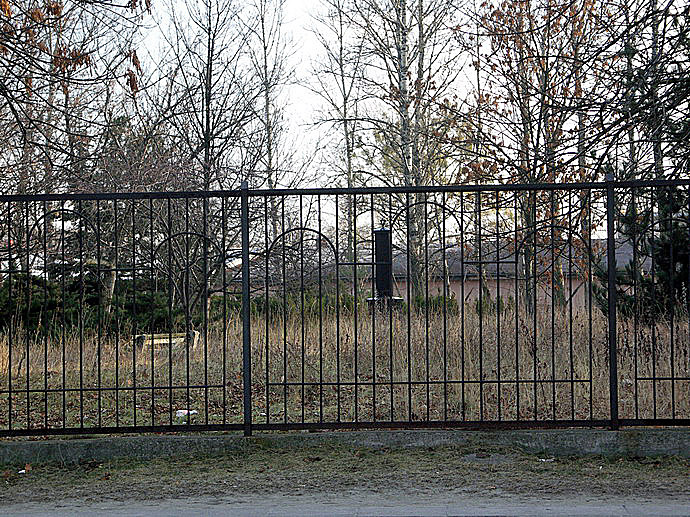 The post office was build on land previously part of the Mielec Old Jewish Cemetery. The Post Office building is located over the Ohel [structure built over the resting place of a righteous person] of the Mielec Tzaddik Reb Horowitz. Photo of Matzevot retrieved from the Wisloka River by the Regional Museum in Mielec.